Just a quick card to share tonight. I have my ladies coming over to stamp on Sunday and am so behind on our projects! I knew I wanted to use my favorite new set, Kinda Eclectic, but I couldn't figure out what to do with it. I looked at sketches on Pinterest and cards other people had made with it and it just wasn't speaking to me. I finally got some colors out and just started stamping to see what happened. I think it turned out kinda nice. I love the colors together (Pumpkin Pie, Old Olive, Crushed Curry, and Early Espresso) and I love the sentiment so much. 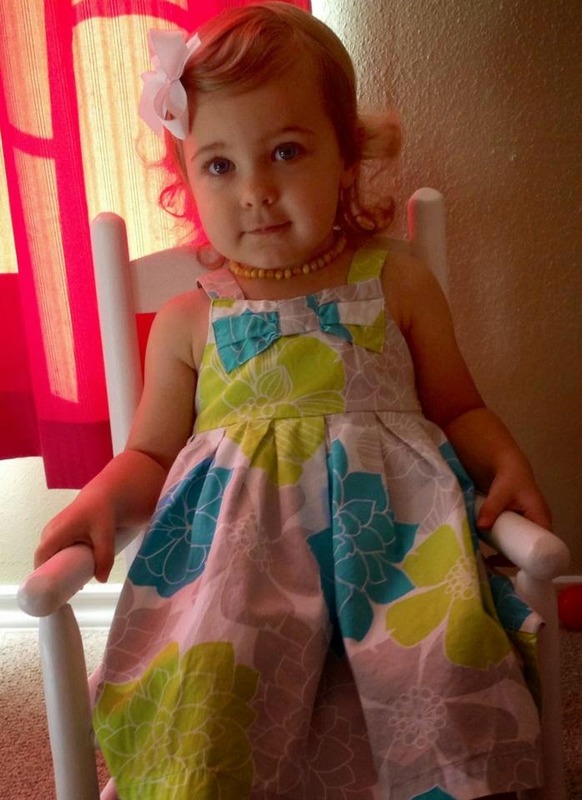 Laila wanted to go shopping today, so I pulled out this dress that she hadn't worn and let her get all girly. :-) She just loves to go riding in the car and then walking around the stores. She did great today and didn't ask for or cry over any toys or pets. She loves the birds at the pet store the best I think. One week and she'll be two! I've been doing a lot of cleaning this week and she's learning to help. She has a long way to go, but I appreciate when she tries. 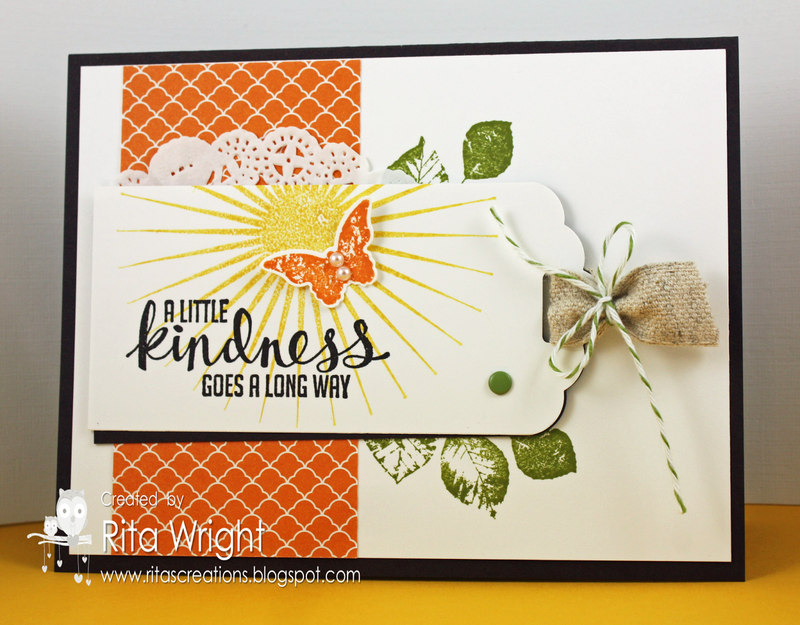 Labels: Kinda Eclectic, Rita Wright, Stampin' Up! Very pretty card, I too sat for quite a while looking at this set but never accomplished anything, even though I love the set, just no mojo I guess. I love this card. I hope you don't mind but I am using a CASE of this one as the make n take at my launch party tomorrow. I will link to this blog post when I put it up on my blog.